This is an easy dish can be prepared ahead of time that we all need them when we need to throw anything with 30 mins. I usually have couples of these in my freezer for like easy take out. Cook the rice and took it out from freezer and cook on medium heat on a frying pan. Voila dinner is done! Fry on meduim heat to low and dont stir until it done on oneside then turn to the other side after all done put your onions or if you have other greens like snap peas you can also thrown them in there. once all thing cook a few mins just serve with cooked rice. A dear friend shared with us long time and I don't know where it adopted from. Trim fat from beef, cut beef diagonally across grain into 1/8 inch slices. 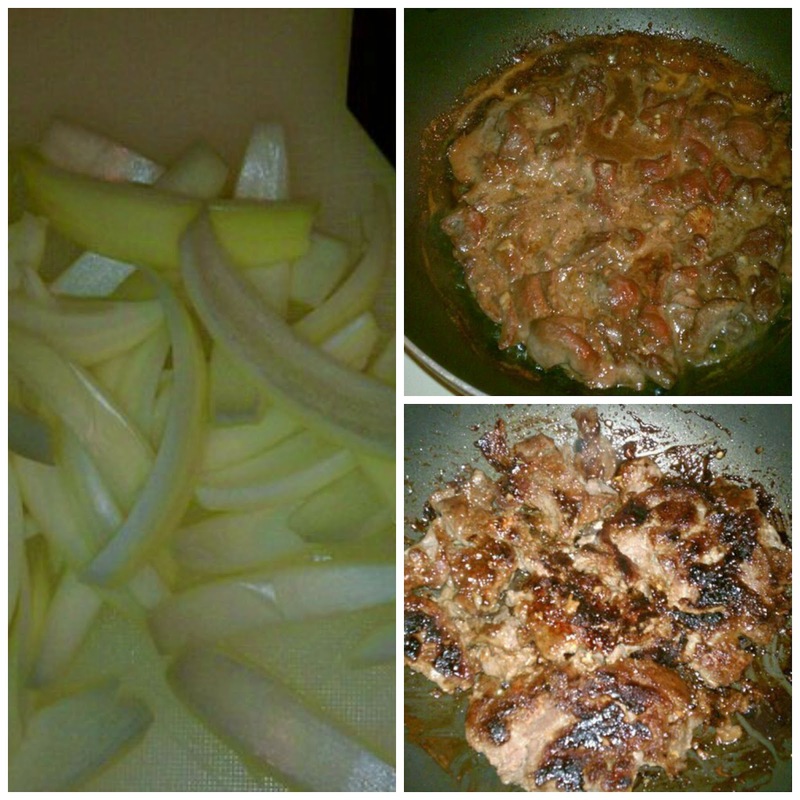 Mix ingredients; Stir in beef until well coated. Cover and refrigerate 30 mins. 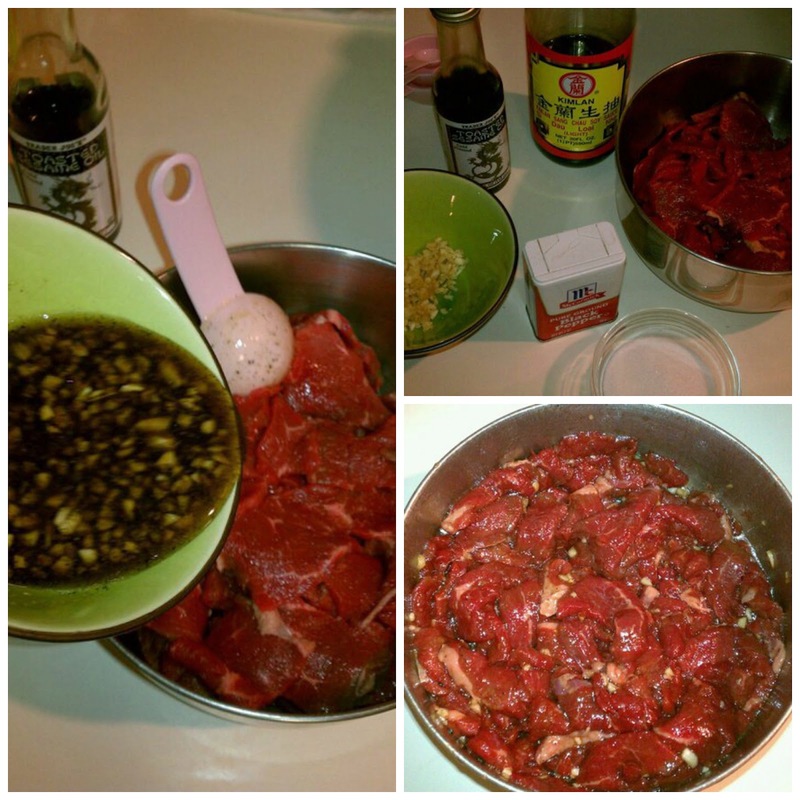 Drain beef; stir fry in wok or 10 inch skillet over medium heat until light brown,2-3 mins. That is our family favorite dish enjoy. Do you have any family favortie ?